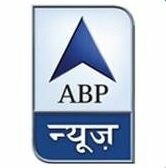 News TV Channel / ABP News is an Indian news channel owned by ABP Group. STAR News was launched on 18 February 1998. From 2003 STAR News became a complete Channel. It was the first bilingual (English - Hindi) news service and was initially run by STAR on its own with NDTV doing the production till 2003. But when the agreement with the NDTV expired in 2003, STAR News was transformed into a complete Hindi language news channel, part of STAR and ABP tie up. In 2003, the contract with NDTV ended and STAR decided to run the channel on its own. However, the government introduced a guideline capping foreign equity in the News business to 26%.